Set up two 5-meters triangles 10 meters apart. Players are arranged as shown. Players work with one ball. Players change their positions continuously. 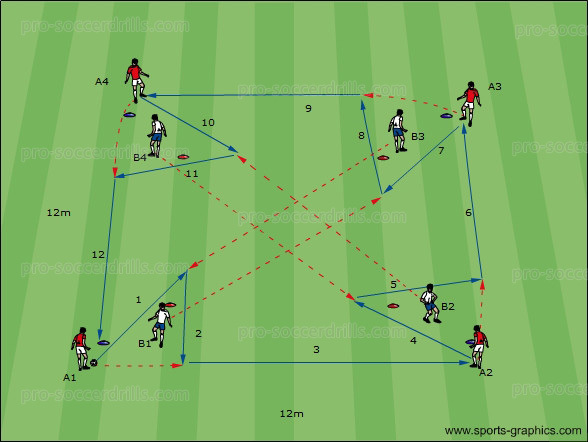 P1 starts this soccer drills with a strong pass (1) to P2 who lays the ball back (2) to P1. P2 moves in angle behind the cone and gets the ball back (3) from P1. At the moment P2 approaches, P3 moves farther from P2 and opens space to keep the distance between them. 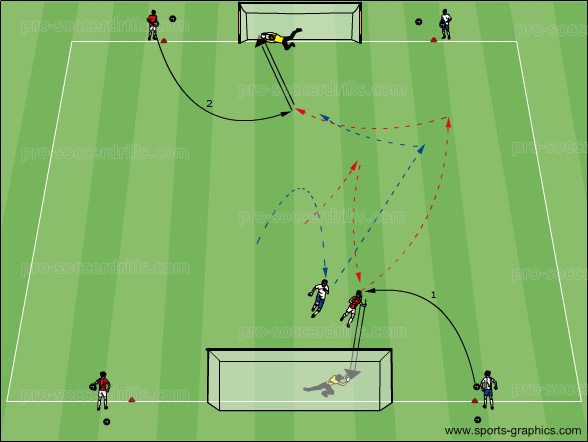 P3 accelerates in space to the front of the ball and gets the pass from P2. 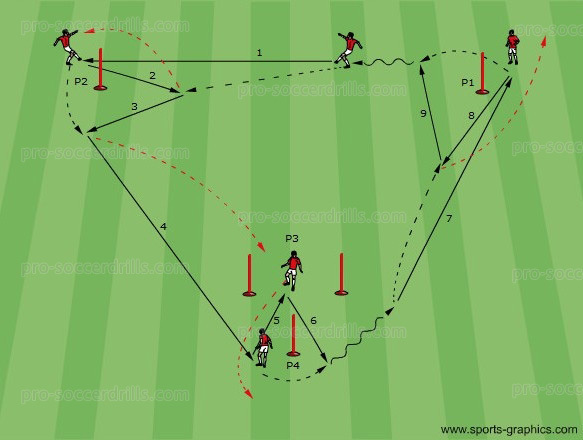 Then P3 plays the ball to P4 with one touch or after an accurate receiving. The progression is the same at the other triangle. Players change their positions continuously.